Oakland's iconic lifts at Jack London Square. The FBI may not be in love with Oakland, but that's okay because EVERYONE ELSE IS. Today, Lonely Planet came out with its annual list of top ten places in the US to visit this year and The Town made the cut. Destinations were selected by Lonely Planet’s US-based editors and guidebook writers, and some of the reasons included "fantastic food scenes, epic adventures, small-town charm, and anniversary celebrations." "The first Friday of every month, Oakland’s Art Murmur is a can’t-miss cultural event, where galleries open their doors, and locals stroll the streets joined by food trucks, outdoor exhibitions, and a chilled street festival vibe. Exploring by bike? Pedal your way to the newly opened Bay Bridge trail, where you can venture out on to the new span of the Bay Bridge." We'll admit to being slightly surprised by Queens taking the top slot, not because we don't think it's a rockin' city with great food, but because when we were there, we couldn't even get Brooklynites to visit Queens and it's RIGHT THERE. But we digress. 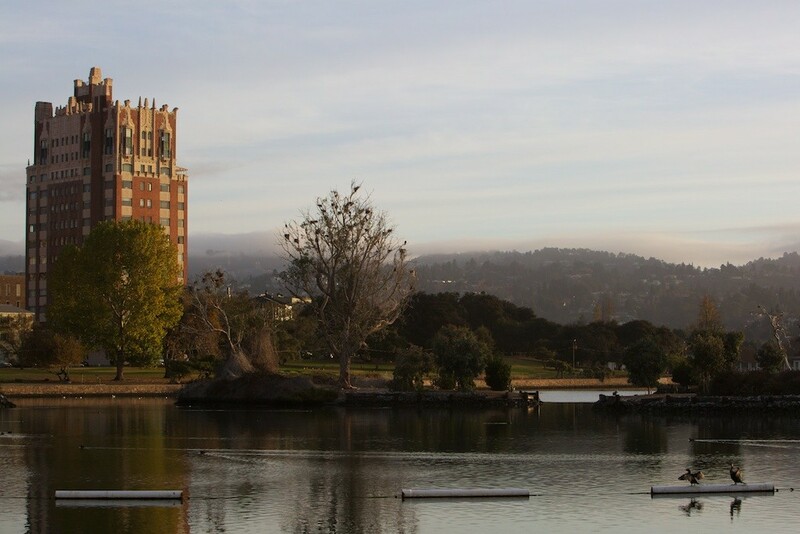 What are some other things you love about Oakland, aside from chicken and waffles and lake strolls? Let us know.